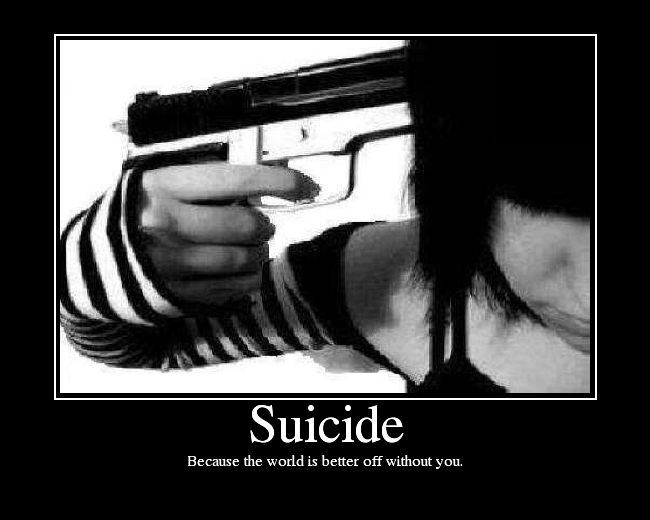 Suicide happens when the depression outweighs your ability to cope. How do you tell someone that you care about that you are broken? That you can never be what they want you to be because like a toddler’s toy you’ve been used and thrown away. Fractured would be the word for it. When you do find that last vestige of courage in yourself to tell them they look at you strangely and deny what you know to be true. I know that there are some people who are not meant to exist in this world and I am one of them. One kind word from him, one spark of interest although welcomed with open arms would fracture me into thousands of shards of mirrored glass. Why is it the ones we choose to love hurt us the most? I don’t look at myself in the mirror anymore, I haven’t in a long time. From what should be one image all I see are the cracks reflected at hundreds of different angles. I was beautiful once, confident, quick to smile. A picture frozen in time. Then something inside me started to crack, it was a tiny fissure once but like ice under too much pressure it began to shatter. Now I know that I am ugly the scars tell me so. The people around me tell me with their eyes and bodies every day. I am not sure how long I can hold on like this. Just the images that dance in my head are enough to make someone scream. The people around me either ignore it, are afraid of it, or can’t stand it. They only see what they choose to see. I have never gone on a “date.” People don’t notice me. I will never get married, I will never have anyone to take care of me. Some speak of growing old together but I will never grow old. There is something deep inside that is broken and it only hurts when I breathe. This entry was posted in Fractured and tagged broken, Depression, fracture, fractured, pain, suicide. Bookmark the permalink.